January 14, 2018 April 17, 2019 - by Sourabh Kumar - 2 Comments. Hello Friends, We are back with another tutorial to update SU binary manually. 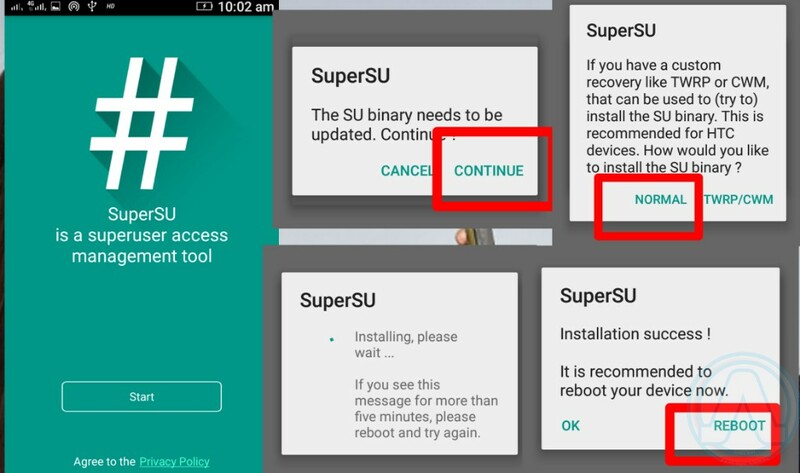 It happens many time that After Rooting Your Android Smartphone the App ‘Superuser’ requests for SU binary update, It also gives two methods to update SU binary First 0ne is Normal and Second one is Using TWRP Recovery. Some time both methods works but if you are a quite unlucky one or maybe both will not work.So I am here with all the methods to Update SU Binary. What is Superuser or SU? Let’s start with Superuser, Superuser or su is a very powerful term in Linux. It gives the super and powerful permission to a Linux user to access and modify or making changes in the root directory of the System OS.In Linux OS we use “su” in the terminal for root permission but in android, there are some Root Managing apps which will make things more easy for the users.There is terminal emulator is also available for Android and some of the most popular Linux commands works in it.you can easily find one in google play store for free. After listing all the methods, now I am going to explain all the methods One-By-One. Before Trying Any other method Try this.You can Update SU binary Easily Using following steps. OPEN SuperUser app. it will show you a message that The SU binary needs To be Updated, Continue? click on “Continue” and then click on” Normal” on the next windows. It will take Some time to Update the SU binary so just wait. If the process is completed successfully then a new window with the message “Installation success” will be visible. Now reboot Your Android Smart Phone.Open the superuser app if the same message ” The SU binary needs To be Updated, Continue?” appears, Try Next One. If not Appers then enjoy. You can Update SU binary Manually Using following steps.Make sure Your Phone has TWRP or CWM Recovery installed. Download superuser.zip . and place it in Internal or sd-card memory. OPEN SuperUser app. it will show you a message that The SU binary needs To be Updated, Continue? click on “Continue” and then click on” TWRP/CWM” on the next windows. Wait until the phone booted to recovery mode. Now Click on Install and then Browse the downloaded superuser.zip (or /cache/superuser.zip) file. Flash it. Flash Gordon is an app which allows us to flash any flashable zip (except for Roms) without having a recovery installed.This method is very helpful for those smartphones which don’t have Custom Recovery.In this app, you just have to point it to the zip you want to flash, (a kernel, a mod, a gapps package, a modem, a RIL, or a recovery…) and it will interpret the updater-script of this package and install its content just like a recovery would. You can Update SU binary Manually Using following steps. Tap the “select a zip” button, select the built-in file explorer to select the superuser.zip file. The app creates a notification, just tap on it to reboot. That’s It. In this Method to Update SU Binary Manually There is no need to install the custom recovery permanently on your device, But Still, Recovery image is Required. Download TWRP or CWM recovery image for your device to your computer(in a folder : let’s Say in Downloads Folder). Go to the location where you downloaded the recovery image: cd ~/Downloads (Windows: cd %USERPROFILE%\Downloads) and Press Enter. Then, Enteradb reboot bootloader and Press Enter. Your phone should now boot to bootloader. If everything works, you should now have a recovery and can flash /sdcard/superuser.zip and Press Enter. So in this post, We have talked about SuperUser, SU Binary and one more Common problem of Android ” Update SU Binary Manually” and All Methods to ” Update SU Binary Manually ” or How to solve “SU binary outdated ” issue.I Hope that this post will definitely help you to solve your Problem.If you Like Our Post, then please do Share it using the following Sharing buttons.You can share your views and problem related to Android with us using the Comment Section. Thank You, And Keep Visiting.